This is a PG for men at NAGARABHAVI, near amedhkar college. 4500 for 4/2 sharing room with food 4500 for 3 sharing room with food. 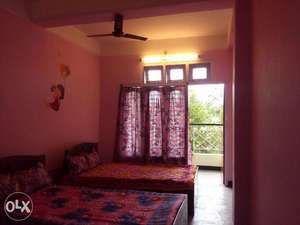 Rooms with attached Bathroom ( 2/3/4- Sharing) , Hot & cold water supply. 22 inch Led TV with dth connection in each room. 50/mpbs Internet wi fi , Cot and Mattress with pillow , Washing Machine , Individual Wardrobes , 2 wheeler parking..